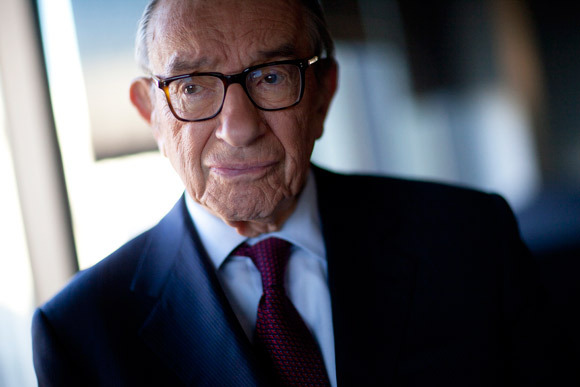 The former Fed chairman rejects the risks of a speculative bubble in U.S. stocks, which remain at historic highs. 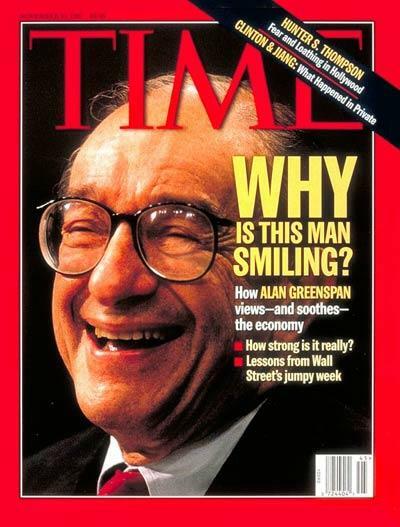 With the Dow Jones Industrial overcoming the 16,000 points and the S&P 500 hitting 1,800 points, Alan Greenspan does not consider that there is risk of a speculative bubble in U.S. markets. 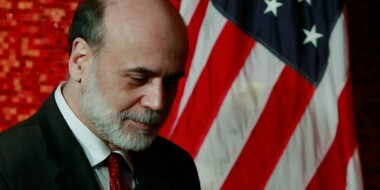 “It doesn’t have the characteristics, of a bubble in the stock market“, said the former ‘chairman’ of the U.S. Federal Reserve to Bloomberg TV. “A bubble may appear but I do not see it at this stage”, he added. Since the beginning of the year, the S&P 500 gains 27 %, heading for the biggest annual gain since 1998, with U.S. stocks being helped by the monetary stimulus from the Fed. 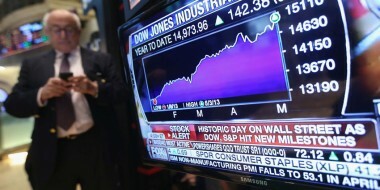 “Stock prices generally rise 7 % per year over the long term. Since October 2007 that it did not happen. We had no growth in the share price over years. 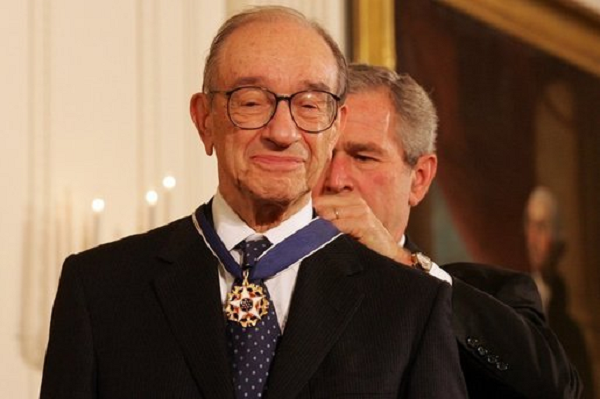 Now stocks have fired”, said Greenspan. 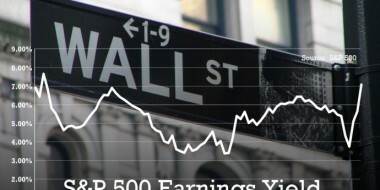 Today’s session on Wall Street is not very different from what has happened over the year. 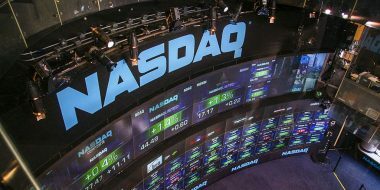 The Dow Jones and S&P 500 rising more than 0.30% each, accompanied by technological Nasdaq, which is progressing more than 0.40%.